CB Insights includes DataVisor in its 2019 AI 100, a list of the 100 most promising private companies applying AI in the Finance & Insurance industries. DataVisor wins Best Innovation in Fintech DEVIES award at 2019 Developer Week Conference for the DataVisor Enterprise Platform. DataVisor wins 4 awards at the 2019 CyberSecurity Excellence Awards, including Gold for Woman of the Year and Bronze for Best CyberSecurity Company. Forbes ranks DataVisor No. 8 in its Top 25 Machine Learning Startups to Watch in 2018 for its application of unsupervised machine learning to fraud detection. DataVisor is honored to be named as a Top 25 Tech Company to Watch 2018 by the Wall Street Journal for it’s machine-learning, big-data fraud detection solution. TechTrailblazers honors DataVisor with the 2018 Financial Technology Trailblazers Award for the DataVisor Enterprise Platform. 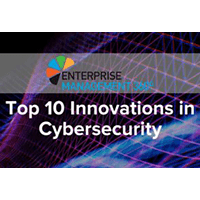 Enterprise Management 360 ranks DataVisor #6 in its Top 10 Innovations in Cybersecurity for its ability to detect fraud in real time with advanced analytics and machine learning. DataVisor was recognized as a winner of MEDICI Top 21 – RegTech Awards for its ability to predict emerging threats and defend against sophisticated fraud techniques. Frost & Sullivan recognized DataVisor with the 2017 Global Fraud Detection Technology Innovation Award for its unique Unsupervised Machine Learning Solution. DataVisor was recognized as one of the world’s most innovative tech startups at the TiE Inflect 2018 Conference – the world’s largest conference for tech entrepreneurs. DataVisor was named a 2016 SINET 16 Innovator, recognizing it as one of the most innovative cybersecurity technologies of 2016 by the Security Innovation Network. At the Fintech & Payment Innovation 2017 Conference, DataVisor was recognized for its unique ability to detect unknown fraud attacks and CEO Yinglian Xie was recognized for her leadership founding and growing the company. DataVisor’s CEO, Yinglian Xie, was honored by the Silicon Valley Business Journal as a Woman of Influence in 2017 for her leadership founding and growing DataVisor to its latest milestone – protecting over two billion customer accounts. DataVisor’s CEO, Yinglian Xie, and CTO, Fang Yu, were recognized by UC Berkeley as alumni innovators for founding DataVisor and building a best-in-class abuse, fraud, and money laundering detection solution. DataVisor was recognized with the “Most Growth Potential” award at the 2017 China Finance Summit Winter forum based on its customers’ successes fighting abuse, fraud, and money laundering in China. Interested in becoming a DataVisor Partner?